Candy Crush Saga studio King admits The Banner Saga doesn't infringe on its trademark but says the legal complaint is necessary in order to protect its IP from "real copycats" in the future. The Candy Crush trademark mess continued rolling along today, as King admitted that it doesn't actually have any beef with The Banner Saga but said that it is compelled by law to defend its trademark against all comers, lest its claim be weakened against some future transgressor. 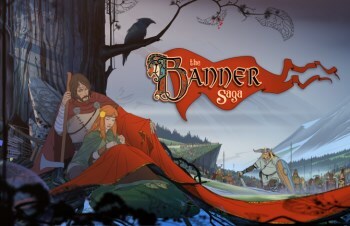 "We do not have any concerns that Banner Saga is trying build on our brand or our content," a King rep told Kotaku. "However, like any prudent company, we need to take all appropriate steps to protect our IP, both now and in the future." "In this case, that means preserving our ability to enforce our rights in cases where other developers may try to use the 'Saga' mark in a way which infringes our IP rights and causes player confusion," the rep said. "If we had not opposed Banner Saga's trademark application, it would be much easier for real copy cats to argue that their use of 'Saga' was legitimate." The rep said King has a series of Saga-branded games including Bubble Witch Saga, Pet Rescue Saga, Farm Heroes Saga and of course Candy Crush Saga, all of which have faced "substantive trademark and copyright issues with clones." Even so, it defies all common sense to suggest that anyone could confuse a Viking-themed fantasy RPG with a fairly generic match-3 game, and that pursuing legal action against an obviously and admittedly non-infringing game is somehow necessary to protect against possible future incursions. UPDATE: In a statement sent to Gamezebo, Banner Saga studio Stoic said it won't give up its title without a fight. "Two years ago, the three of us at Stoic set out to make an epic viking game: The Banner Saga. We did, and people loved it, so we're making another one," the statement says. "We won't make a viking saga without the word Saga, and we don't appreciate anyone telling us we can't. King.com claims they're not attempting to prevent us from using The Banner Saga, and yet their legal opposition to our trademark filing remains. We're humbled by the outpouring of support and honored to have others stand with us for the right to their own Saga. We just want to make great games."